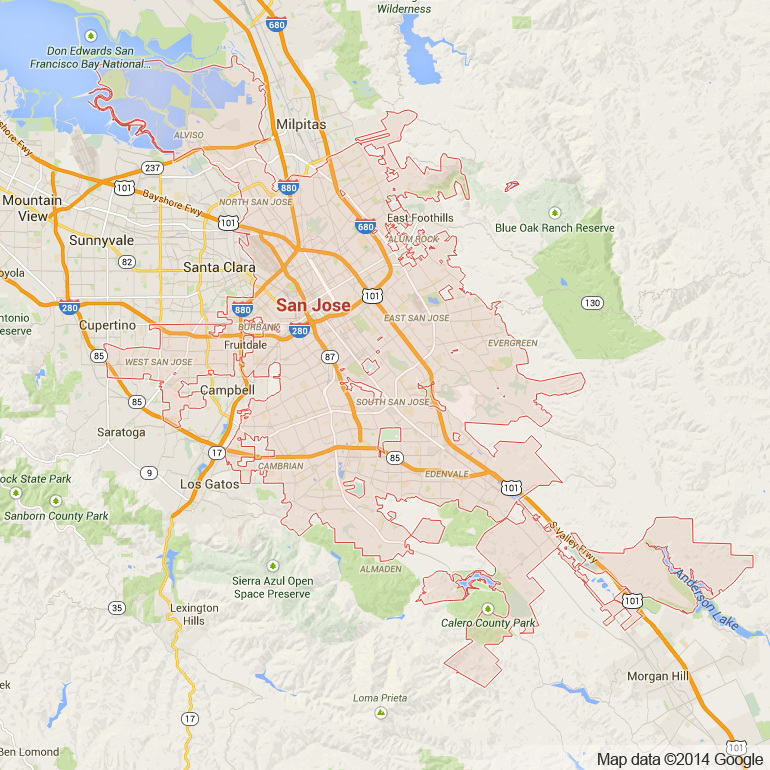 In the heart of the South Bay lies the capitol of Silicon Valley, San Jose. San Jose is a global city which acts as the heart and soul of the innovative spirit of the entire Silicon Valley. San Jose is home to a number industry leading technology companies as well as a vibrant cultural and arts scene. 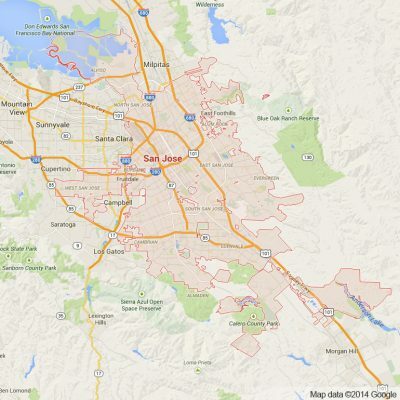 Companies like Cisco Systems, eBay, IBM, Hitachi and Adobe Systems all call San Jose home. As mentioned, San Jose is also home to a vibrant and flourishing world of arts. Opera San Jose, Symphony Silicon Valley, Ballet San Jose, Broadway San Jose and San Jose Museum of Art are but a few examples of the diversity of this up and coming west coast bastion of the arts. On top of all of this the SAP Center at San Jose is a world class music venue, regularly hosting some of the biggest musical acts in the country and beyond. The SAP Center is also home to the San Jose Sharks a professional hockey team that regularly makes the play offs. Their fast style of play and success in the rink make them a team that definitely must not be missed! San Jose also boasts an incredible network of parks, trails and other outdoor attractions. The Guadalupe River, which until the 1990s was the Southernmost river that had runs of Chinook salmon, beautiful cuts across the city. San Jose’s networks of trails are over 53 miles. San Jose’s major trails include the Guadalupe River Trail, Los Gatos Creek Trail, Los Alamitos Creek Trail, Silver Creek Valley and Penitencia Creek Trail to name a few. As the capitol of Silicon Valley and San Jose’s proximity to world class institutions of higher learning such as UC Berkeley and Stanford University makes San Jose an educated city. A number of museums located in San Jose are testament to this fact: The Children’s Discovery Museum, the History Park at Kelley Park, Ira F. Brilliant Center for Beethoven Studies, Portuguese Historical Museum, Rosicrucian Egyptian Museum and the Tech Museum of Innovation. Of course for those who are more inclined to explore something less educational San Jose’s very own Raging Waters, the largest water park in Northern California, is not a bad alternative. San Jose also boasts a number of fantastic restaurants and shopping opportunities throughout the city. Here at Apex Limousine Transportation we are beyond excited to offer residents and visitors alike an opportunity to explore San Jose in luxury. We specialize is a number of different limo services including but not limited to weddings, junior prom, senior ball, San Francisco services, concerts at SAP center, San Jose Shark games, 49er games at Levi’s stadium, airport pick ups/drop offs at any major Bay Area airport (OAK, SFO, SJC), a limo night out in San Jose, and comprehensive Napa Valley Wine Tours. Our fleet of includes sedans, SUVs, and limousines. Each one of our vehicles is driven by a professional limo driver. Our commitment is to both ensuring that you have an incredible and luxurious time every single ride and have the safest ride possible. Our incredible track record stands us out among the competitors as the go to limousine transportation service in San Jose. When you ride with Apex Limosines you are not just going on a ride – you are having an experience. We always work directly with our guests to ensure that whether we are taking you on a trip to the wine country or providing full limo services for your wedding you get exactly what you want every time. Give us a call today we guarantee you’ll be coming back for more in no time. Please call us for car service all inclusive total for San Jose to/from Napa Valley transfer.